Believe it or not, there was a Chrono Trigger sequel long before Chrono Cross came out. It was called Radical Dreamers and it completed some of the story lines that weren't completed in Chrono Trigger itself. It was released in 1996 on the Satellaview Super Famicom add-on in Japan. Chrono Trigger Character Library Download it! Chrono Trigger Music Library Download it! Chrono Trigger Special Jetbike Addition Download it! Click here to learn more about the Satellaview sytem. Three adventurers -- Serge, Kid, and Glenn -- attempt to steal an artifact called the Freezing Flame from a villian named Yamaneko. As the 3-6 hour, text-based adventure unfolds, various references to Chrono Trigger are made, and the Epoch and Time Egg play parts in the game as well. Only Magus returns from the original cast as a playable character, though the story is meant to tie up many loose ends not completed in Chrono Trigger's many endings. There are seven different endings, and the general tone of the game is much more dark and brooding than its predecessor is. 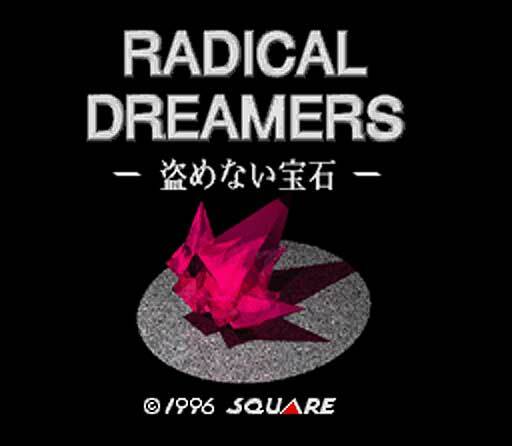 Thus, Radical Dreamers is an intermission of sorts in the Chrono series. It is a mini-sequel to Chrono Trigger, and Chrono Cross is essentially an extension of the Radical Dreamers story into a full-fledged game.